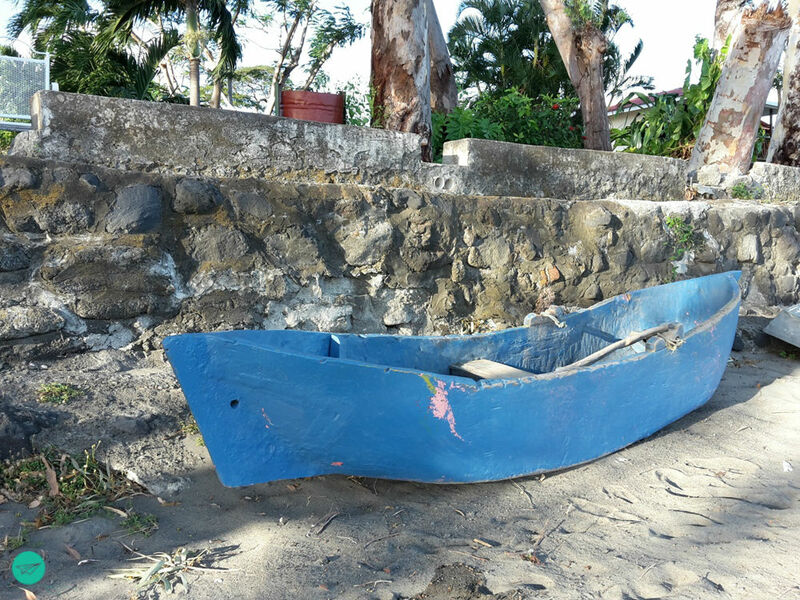 Part I of our stay on Isla Ometepe was all about arriving and the beauty of CHARCO VERDE. Today I am taking you on the round trip we did with all it’s funny details and beautiful impressions! 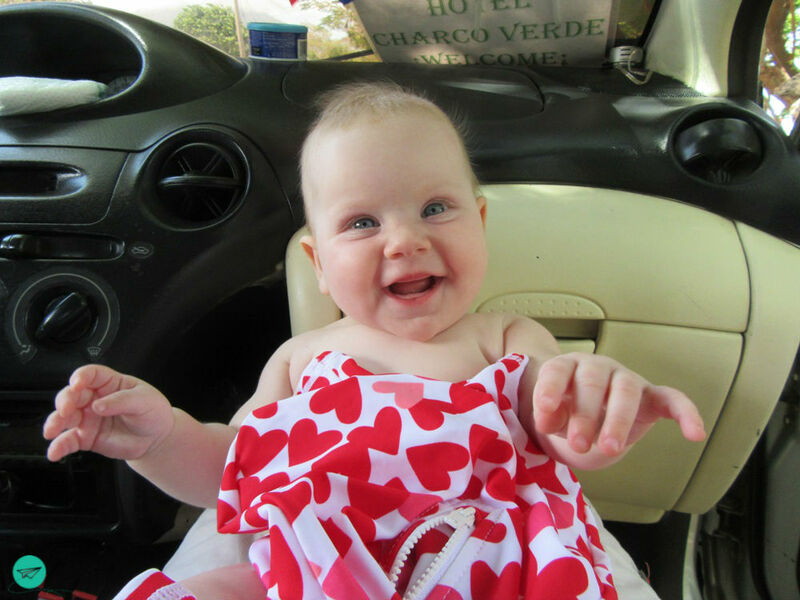 The easiest way to explore the island with kids is to rent a car. 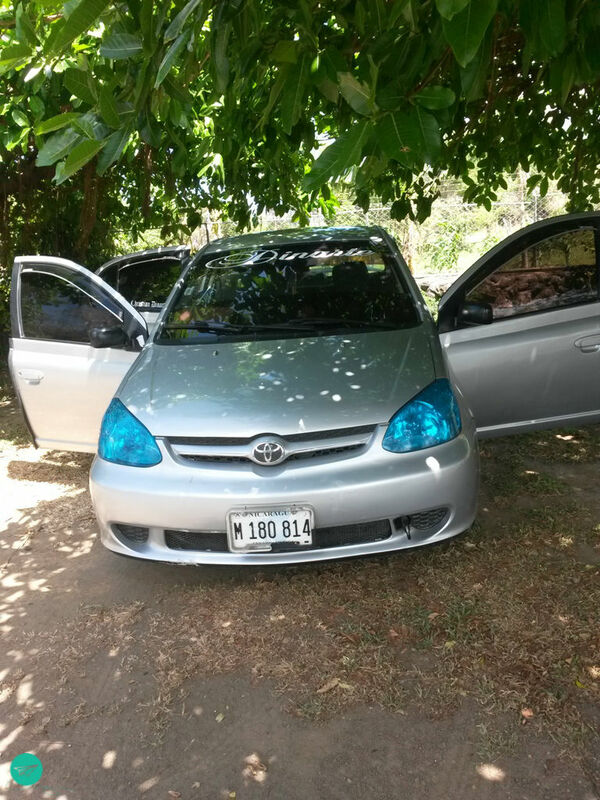 Surprised by the high prices of the few big companies operating there, we rented a car from a local. Asking around on of the waiters recommended a local rental to us. I contacted him, negotiated the price and made the deal for 65$ a day. He brought the car in the morning and picked it up in the evening. Once he arrived we looked at each other and started laughing! It was a throwback into our youth, where having a pimped was cool! Not a typical car for a family round trip – but hey we got a cool set of wheels! The best thing about the car we realized after dark! People along the streets were greeting, other cars were hooting at us or we just got some skeptical looks. Back at the hotel we knew why. We had luminous tires! Shining blue, by then we knew we couldn‘ t have get lost! Let’s step back to the morning light and the tour start. 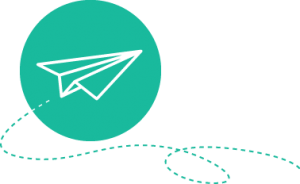 Beforehand, you will need a small street map, good orientation and please follow the advice of the locals where to go! We had no specific destination we wanted to go. Our plan was going with the flow, heading to the east side, taking a bath somewhere and finding a place to see the sunset. Start was Charco Verde the first to see was this little church along the road. Our direction was Balgüe. We have heard before, that there should be a special flair, a few „western“ coffee shops & smoothie bars and that dropouts settled in here. Distances are really short, so we arrived Balgüe pretty fast. 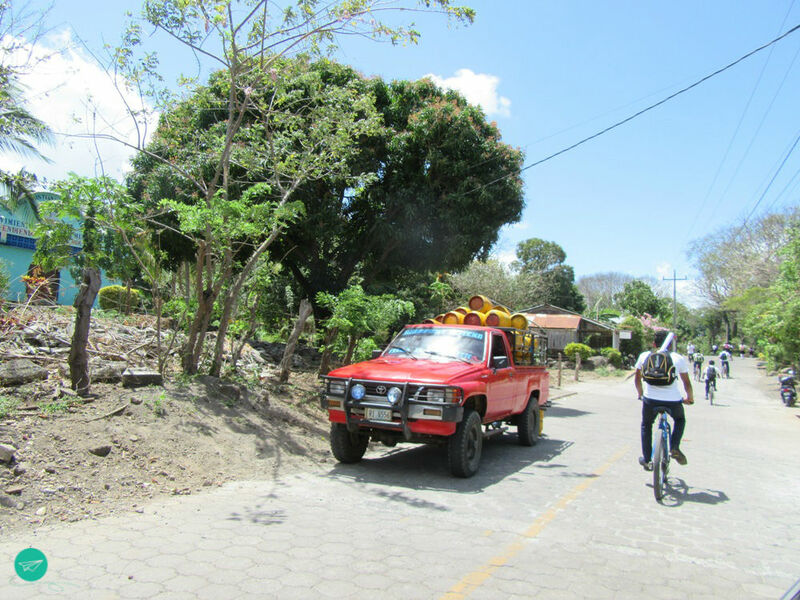 In Balgüe we thought, hey let’s go to the San Ramon Waterfalls. Soon we had to give up the plan, regarding the fact that our car was set lower and the paved road ended behind the city! We turned and enjoyed the the ride and views along the shore. Little J woke up and as we all were hot, we parked the car at the roadside and went down to the beach! It was windy but so refreshing at 30°. 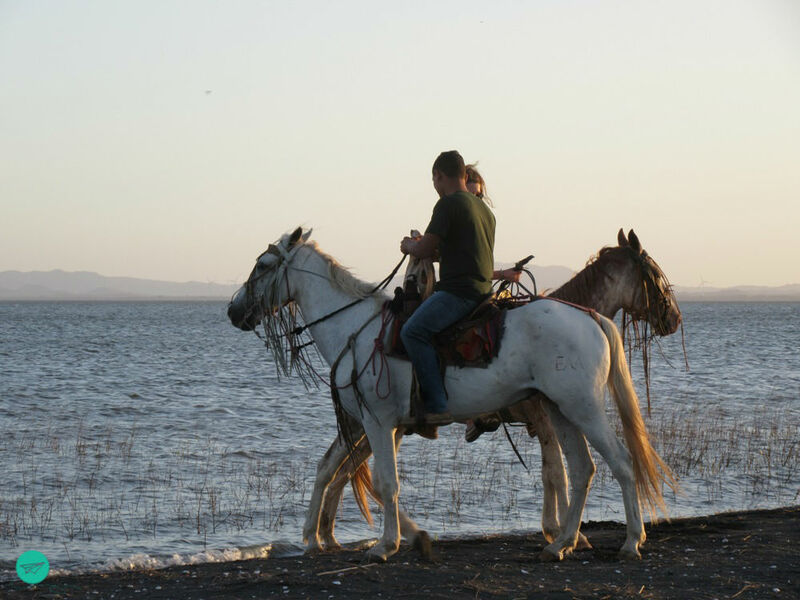 For the first time in our life we saw horses taking a bath in a lake and enjoyed this moment very much! To give you an idea – it was somewhere between Balgüe and Playa San Fernando – signs weren’t set. Swimming and splashing around makes hungry, our crackers were all gone – only way to survive with hungry Js? YES, give them food! We packed up, drove a bit further and at Santa Domingo we spotted a cafeteria and stepped in. The name is „Natural“ and they serve fresh food, bake there own bred and are first line to the beach. Food was really good and far from the typical local food. At this point we knew what they meant by the western influence. 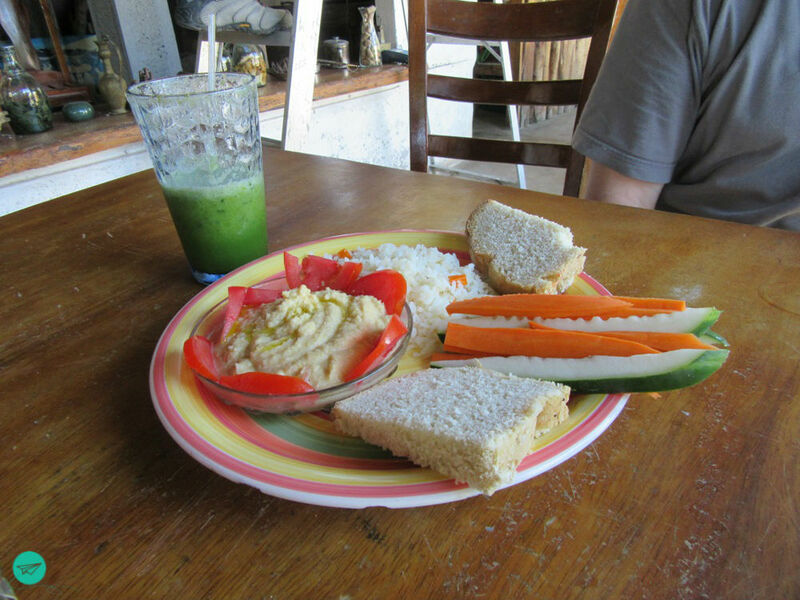 Green smoothie, humus and bred, perfect! Relaxed and strengthened we went back on the road and went to Altagracia. I have read about it’s importance for the Spanish conquistadors & pirates, so we hoped to get some vibes. But all we got was chaos. Streets are small and full. Street signs are overvalued and constructions were all over the city. Not sure how often we had to make a u turn, go into reverse or lost orientation for a moment. Going forwards and backwards a few times, without finding the main road to continue the trip, we changed the plan again. Took the same way back and headed to our last targeted destination of the day: Punta Jesús María! I don’t wanna deprive you of some typical and unexpected images which crossed our way! 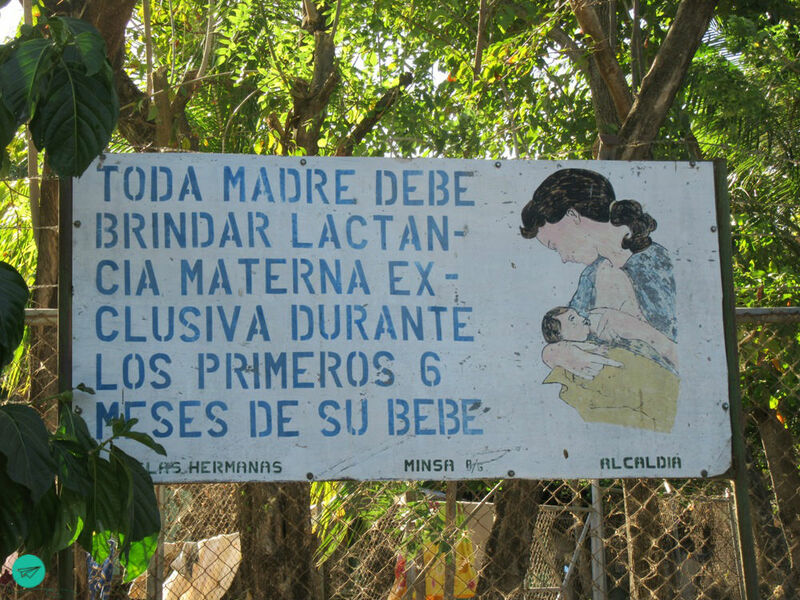 This one says, that a mom should fully breastfeed at least 6 months. It was the one which brought me back to „real“ Nicaragua. The reason behind is not only the nutritional aspect. The announcement reminded me, that potable water is a luxury in most parts of Nicaragua! The propane delivery pick up and the old blue truck at the roadside will complete the picture. For me as western European it always has a kind of a „wild romantic“ thing. Bringing back childhood memories, where those vehicles were part of our street scene. In fact it isn’t. Here it is still reality, while for us it is history! You know what? Nicaraguans complain much less than we do, they appreciate more and I am sure this is the result of not having everything in abundance! I will stop being theatrical. It Just have come over me! 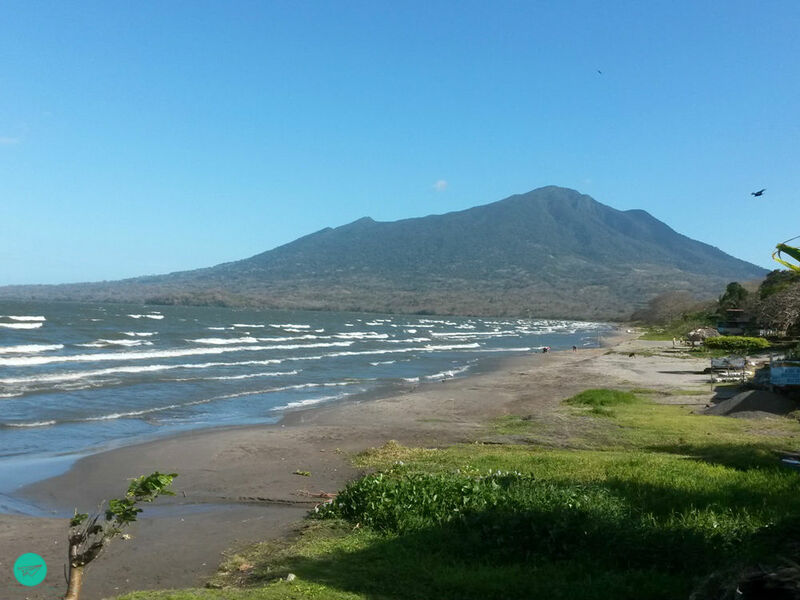 Recommended by our car rental guy and announced as Ometepe’s hot spot for sundowns, we couldn’t resist. To enter the land spit you have to pay $1 each, it is well invested money! The beach here is nice to have a bath as the water is shallow. In dry season you might be able to walk the sandbank up to one kilometer into the lake. Reaching the end you will have a view at 3 volcanoes making a 360° turn. 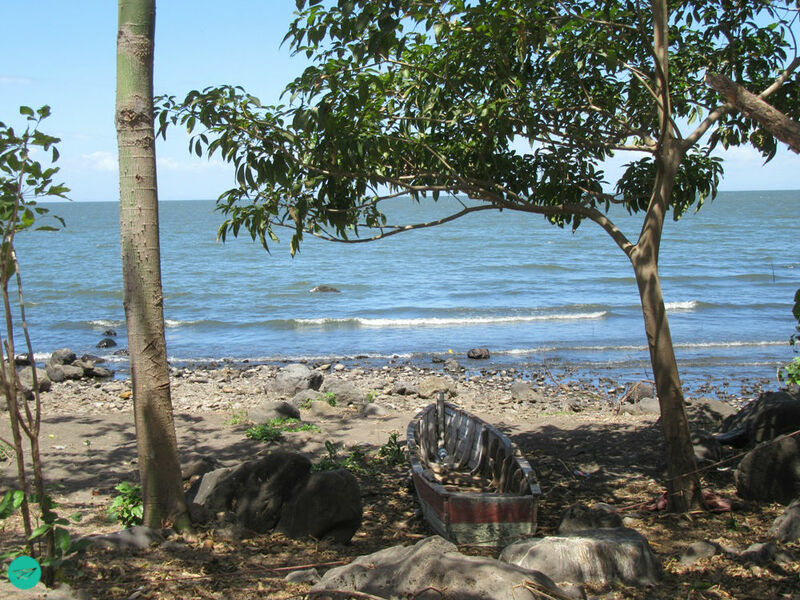 Maderas and Conceptción of Isla Ometepe and Mombacho on the main land. The atmosphere is tranquil and peaceful. Everybody coming here seems to be in harmony with nature. 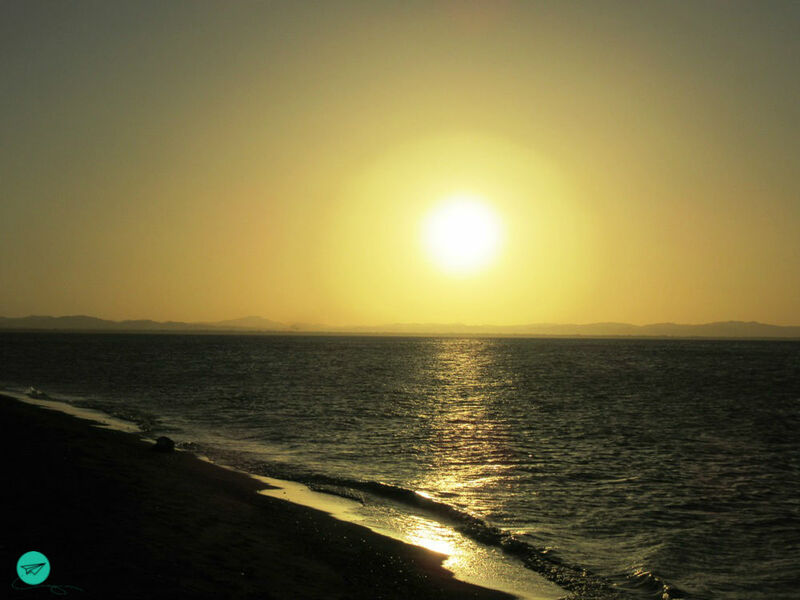 Punta Jesús María kept the promise people made – we saw one of the most beautiful sunsets! For us it was the perfect conclusion of that day! All 4 Js had a great time on Isla Ometepe. For me it is an ideal spot to stay with your family, no matter of your children’s age. 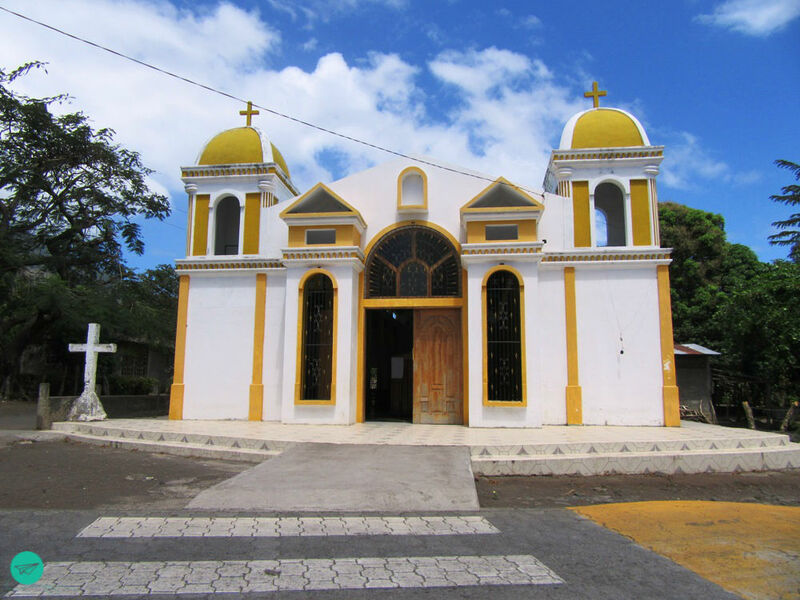 A must see spot in Nicaragua! 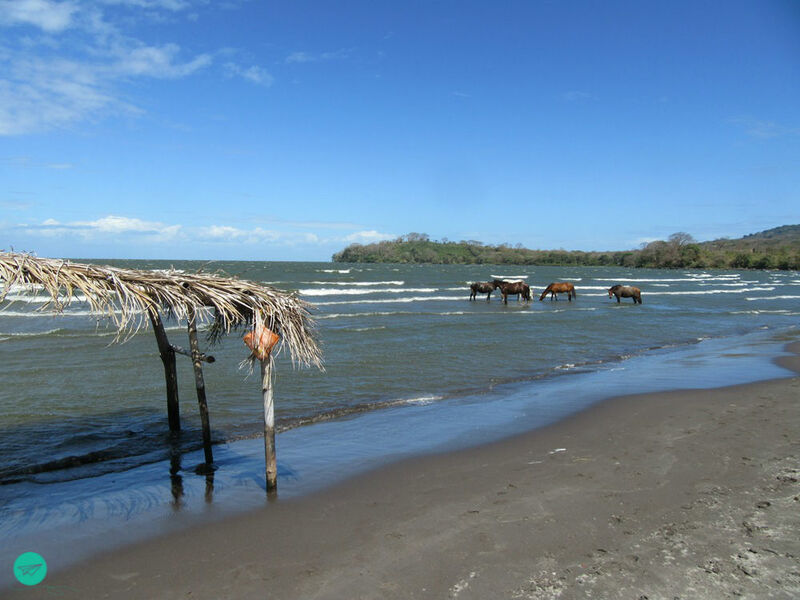 Isla Ometepe has it all! Nice beaches, plenty of hiking opportunities, 2 volvanoes, friendly inhabitants, peaceful & tranquil atmosphere and last bust not least stunning sundowns every night! Come here and enjoy! Nicaragua is indeed a perfect destination for sun whoreshippers and adventurer, who like to be safe and travel on a budget! this island sounds like a dream for me! Wow, Nicaragua steht auch noch auf meiner Bucketlist. Da habe ich ja jetzt noch weitere Ideen dazu bekommen 🙂 Vielen Dank für den tollen und kurzweiligen Artikel! Das scheint ja eine lustige und interessante Rundreise gewesen zu sein ? Ach, da kommt ja mal wieder Reiselust auf. 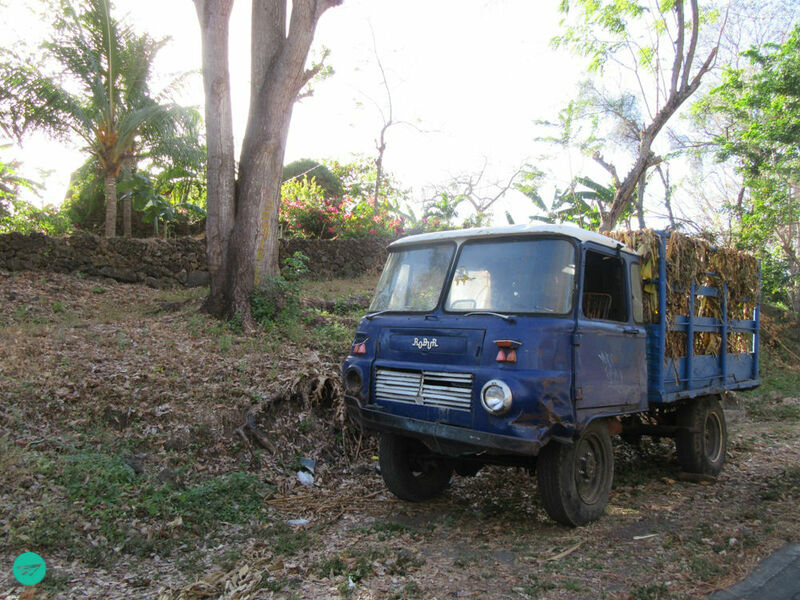 Nicaragua fehlt mir noch und dein Artikel macht richtig Lust, mal in das Land zu fahren. Danke Roswitha, hab mal bei dir geschaut, ist wirklich einer der wenigen weissen Flecken auf deiner Karte.Du wirst es nicht bereuhen!